Since its establishment in 2007, the Centre for Ecology, Environment and Sustainability has undertaken research in areas such as biodiversity and environmental change, with the aim of supporting both policy development and conservation practice. One particular strand of work has concentrated on the effect of invasive species on ecosystems, native species and economies in the UK and beyond. Professor Robert Britton, a fish ecologist, and Adrian Pinder, Associate Director of BU’s Global Environmental Solutions (BUG), first worked together on the issue of invasive species while investigating the effects of Topmouth Gudgeon on UK waterways. Topmouth Gudgeon are native to Asia and were introduced to the UK in the mid-1980s. By the early 2000s, populations were emerging in several locations across the country. The model of research they developed while working on Topmouth Gudgeon – identifying a problem, researching to better understand the issue and working with members of the public, as well as industry bodies – is one which they’ve continued to use and refine through their research careers. The model of research they developed through working together on Topmouth Gudgeon is one which the team have successfully refined and then used with other species and in other parts of the world. As part of a current research project, they are working on the conservation of threatened Mahseer fishes in India. 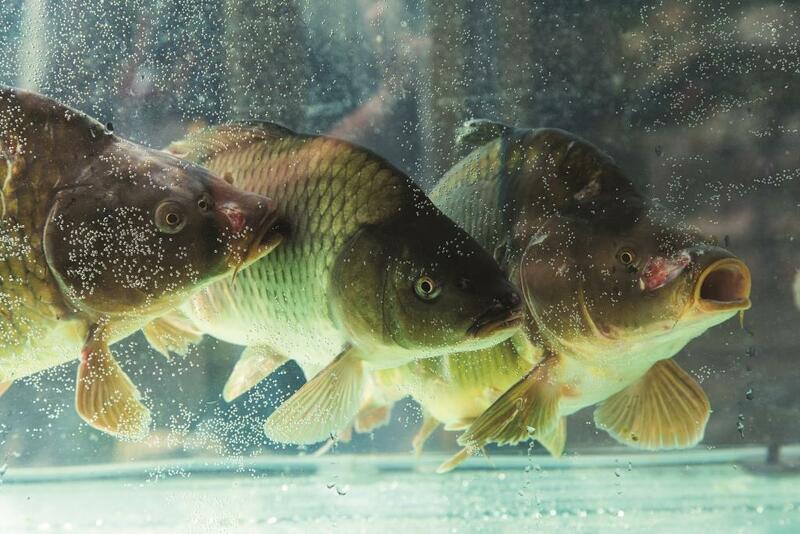 Professor Britton and Adrian recently published a paper in Endangered Species Research that demonstrates the stocking of hatchery reared ‘Bluefin’ Mahseer into South India’s River Cauvery has driven the endemic hump-backed Mahseer to the edge of extinction. Professor Britton and Adrian are currently working with UK charity, the Mahseer Trust and a major industrial partner in India to develop a robust conservation strategy for the hump-backed Mahseer. This involves extensive field exploration, stakeholder engagement and an outreach programme to raise awareness across schools.